Silk. It’s magical. The spit of a little worm, it is a continuous filament miles long with a sheen and lustre that are loved throughout the world. The Bombyx mori species of silkworms a diet of leaves of the white mulberry tree, then spin a cocoon of the most fine, pure, smooth silk, in one long filament. The pure silk that comes off the cocoon is composed of two main proteins – fibroin, which is the core of the filament, and sericin, the gummy, waxy coating. Undergoing the de-gumming process removes the sericin and leaves the fibroin silk protein core. This is then reeled from the filament and spun into yarn that is the heart of the silk fibre, pure fibroin protein. Its shine is unrivaled in natural yarns and it is smooth and luxurious. In sourcing this yarn I tried samples of other reeled silks that are available and found that I didn’t care for the very light twist. 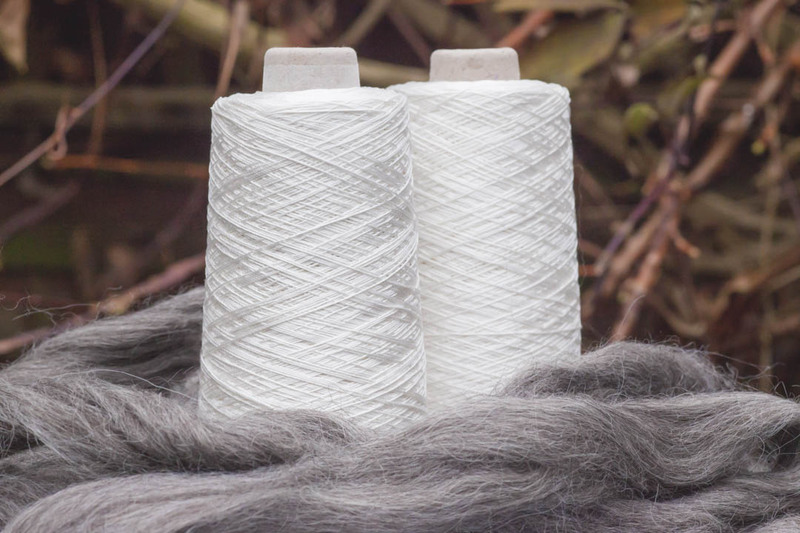 I was very lucky to work with a silk mill that has produced for us this three ply yarn with a slightly more secure twist. It’s still soft, with a beautiful handle, but a bit more stably plied. The cones are 200g and £38 each, plus shipping. This yarn is 20/22Dx19x3 yarn count, that’s an equivalent thickness to 15/2nm or 9/2ne. This is a great weaving-weight yarn and is suitable for warping. Available soon from the Saltwater Rose Threads shop.